Quality Guaranteed: We examine each product strictly to make sure high quality. We use high quality combed cotton socks with 91% combed cotton and 9 % polyester ensuring a comfortable sock for everyday wear. Our socks has good breathable and durable. 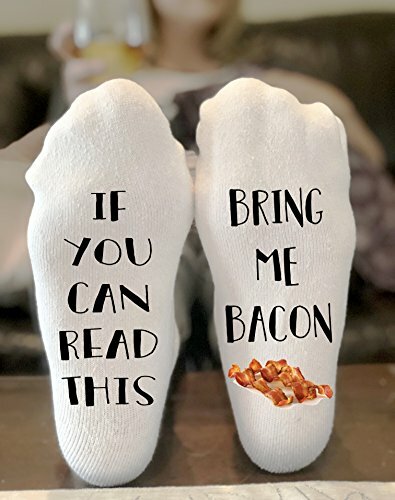 Fashionable: Comfortable, soft, trendy and unique designs; fun and humorous text on the bottom of the socks. Multi-purpose: Perfect gag gift or novelty present idea for women and men. Gifts for Bridesmaids, Groomsmen, Hostess or Housewarming gift, Birthday gift, Christmas gift, gift for a wine lover, party favor, or present for yourself. These funny socks are suitable for all kinds of parties and daily use. View More In Socks, Tights & Leg Warmers. If you have any questions about this product by California Social Hour, contact us by completing and submitting the form below. If you are looking for a specif part number, please include it with your message.